Is redemption possible for those who lives are scarred by the past? With danger crowding close, not even love may have a chance to redeem before it’s too late. Redeem This was an amazing sequel. I read it in one day - I didn't even read Blog This that quickly, though I loved it too! Stories of redemption always strike a chord - I think they give us hope. We all make mistakes & have regrets - stories of redemption bolster our faith & hope that we too are deserving of grace and can be forgiven. 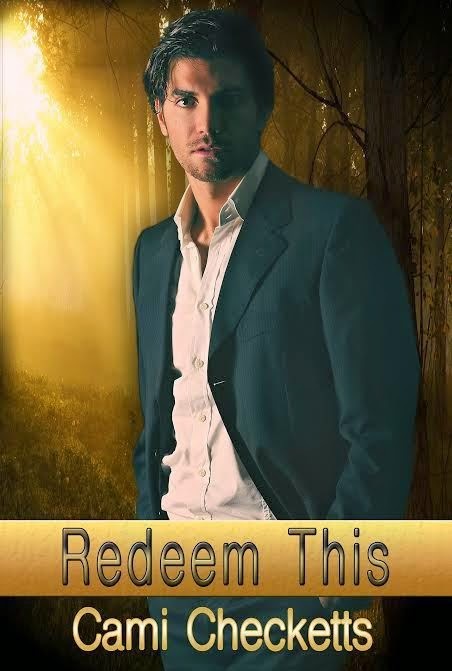 Redeem This is a beautiful story of redemption for more than one person. It's mostly the story of Alex Chakhota - the hired assassin from Blog This. After his interactions with Natashya his life has taken a drastic change - he finds himself working undercover for the FBI and in the process falls head over heels for a beautiful woman. Despite the pull, he knows he's not worthy. How can someone so pure & innocent ever fall for someone like him? At the same time, Alex finds himself face-to-face with Ivy McMahon again. He doesn't deserve her forgiveness - he's responsible for he fiance's death - and Ivy makes sure he knows just how much she hates him. But a funny thing happens when they are forced to work together and spend time together during the FBI case; Ivy realizes that there's more to Alex's story than "professional hitman." I loved how the relationships between Scott & Ivy and Alex & Brittany developed. Alex's relationships with the FBI agents, Scott, Conrad, and even Savannah revealed so much depth of character. There was so much going on in this book - it could have almost been developed into three separate stories, but I'm glad so much was covered in this book. It was fast paced and kept me engaged from page one. I'm looking forward to reading more from Cami Checketts! Honest Disclosure ~ I received an ecopy of Redeem This in exchange for my honest review.